We have completely redone our website to incorporate information in an easier to find format. We also hope you will like it, and do so on Facebook as well. We have our “protecting money from Medicaid” video right on the front page, near the bottom. 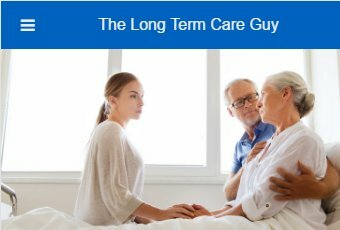 So many people are amazed that even if they are in a Long-Term Care (LTC) facility, it is not too late to protect some of your funds for your family. Since Medicaid requires most life insurance policies to be cashed in, and often people do not learn of this until the bitter end, we can also protect at least the cash value in them for your final expenses. There is no need for your children to have to pool their credit cards to pay for that. Our business comes mainly by referral from attorneys and financial planners all across Wisconsin. They realize how specialized good advice is in dealing with the huge costs of LTC. We also write and teach continuing education classes for insurance, accounting, and legal professions. Special certifications are required to sell some of these products and we teach those courses as well, in several states. So, if you have questions about an existing LTC insurance policy, no matter where or from whom it came, let us answer those questions for you. If you simply have questions about LTC, contact us as we will answer them. We have just spent the past few months assisting teachers in northeast Wisconsin on what to do with their employer provided coverage that is terminating.